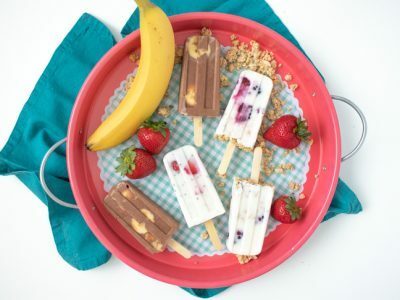 The trifecta: a beautiful, delicious, and healthful snack for the whole fam! 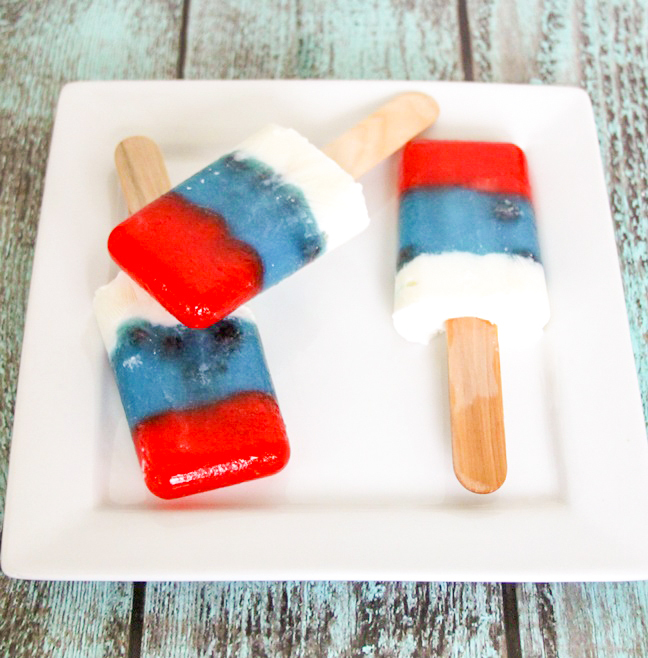 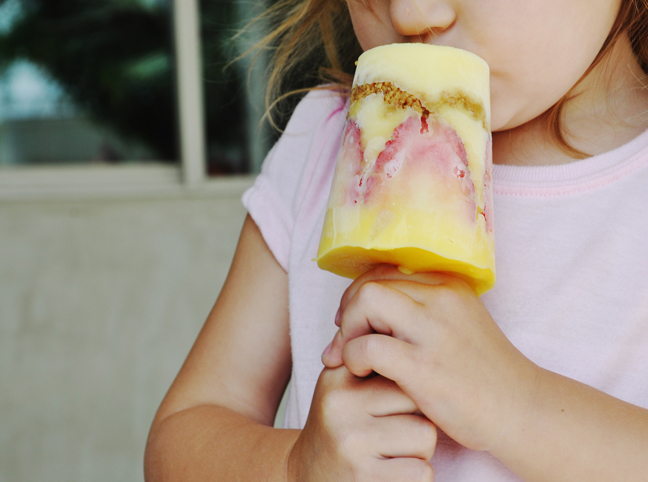 Hot days call for Jell-O popsicles; these don't become a drippy, sticky mess like normal popsicles do. 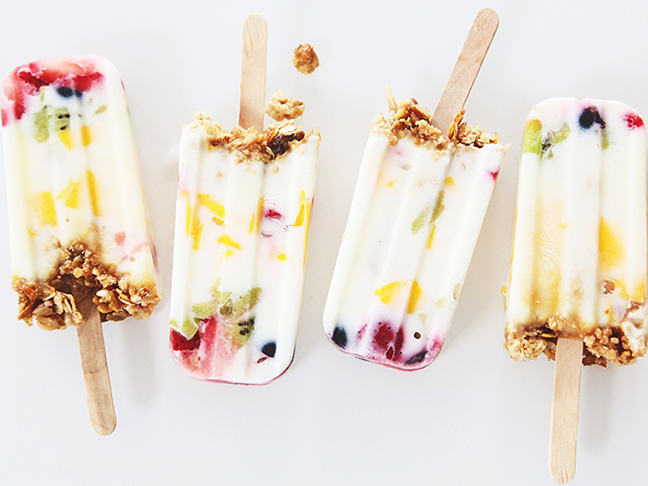 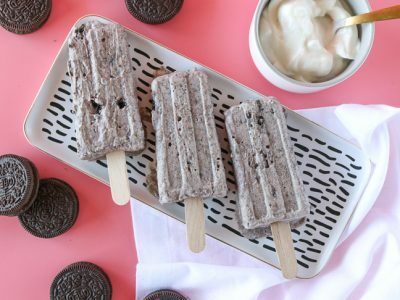 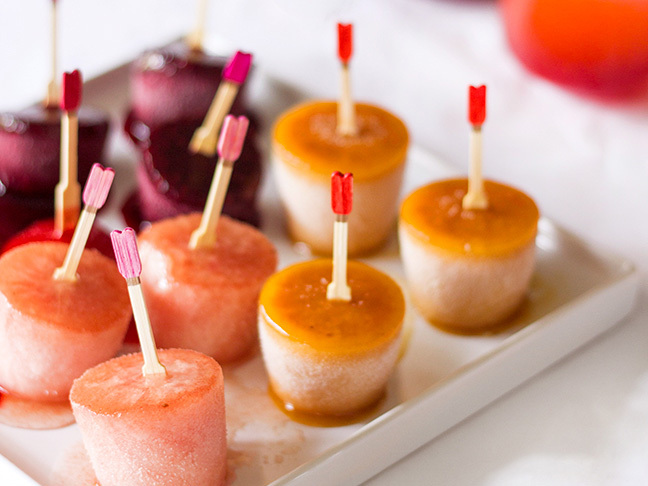 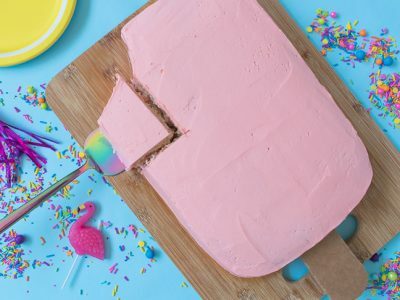 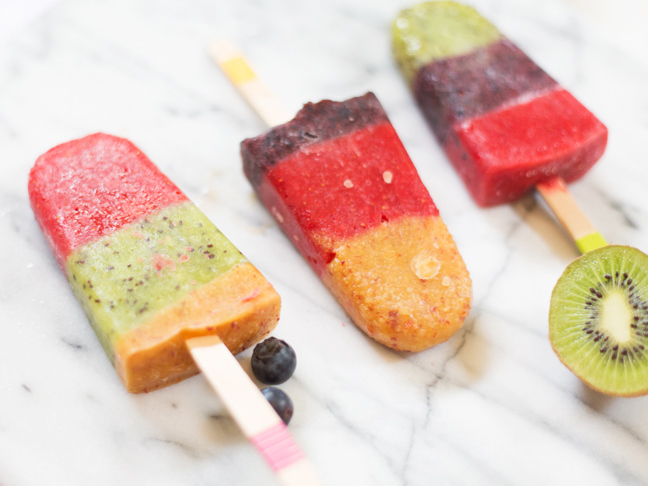 These frozen treats are filled with frutas, chia seeds, yogurt, and other super-healthy ingredients.